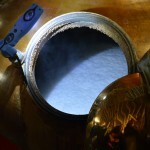 What a full on, fun filled, fact saturated, whisky flowing, friend making week. 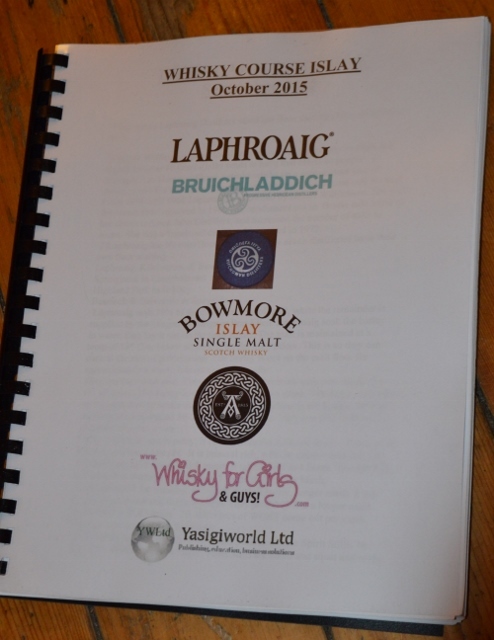 WHISKY COURSE ISLAY from 26 – 30 October 2015 inclusive, brought people from all corners of this round earth to Wild and Magic Islay. 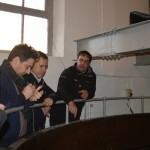 We had 15 delegates, most of whom turned out to be industry professionals. 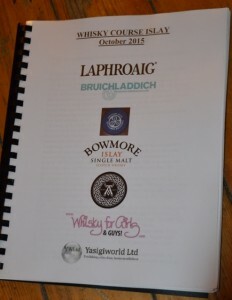 I presumed mainly ‘whisky connoisseur/hobbyists’ would attend, and happily, they did; and, it was heartening to be so well supported by the industry. 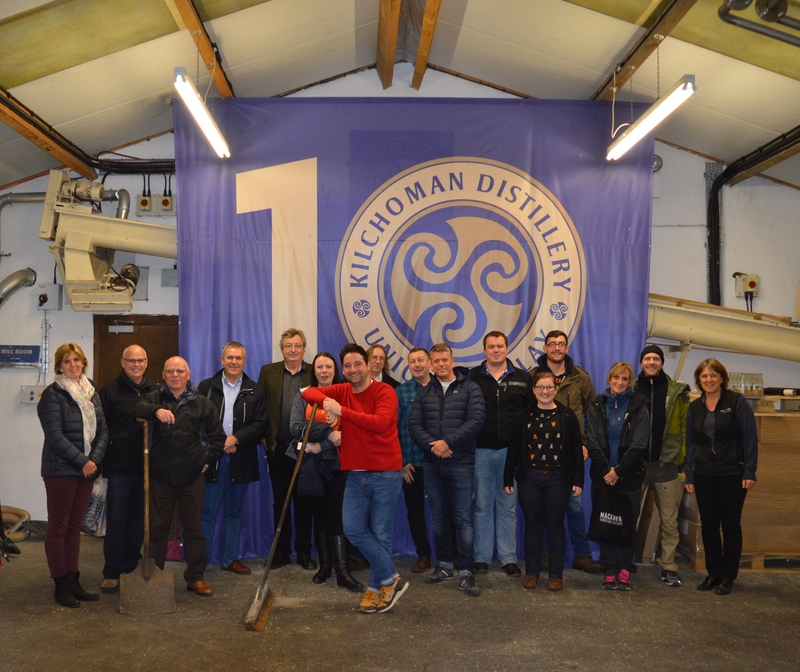 We had distillery owners and managers, maltsters, marketing people, bar school teachers, independent bottlers, engineers, brand ambassadors…… good fun, clever, whisky drinking people! We had 5 full on days. 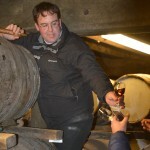 Learning from Professor Paul Huges in the morning, then backing up the theory with practical application at various Islay Distilleries in the afternoons. 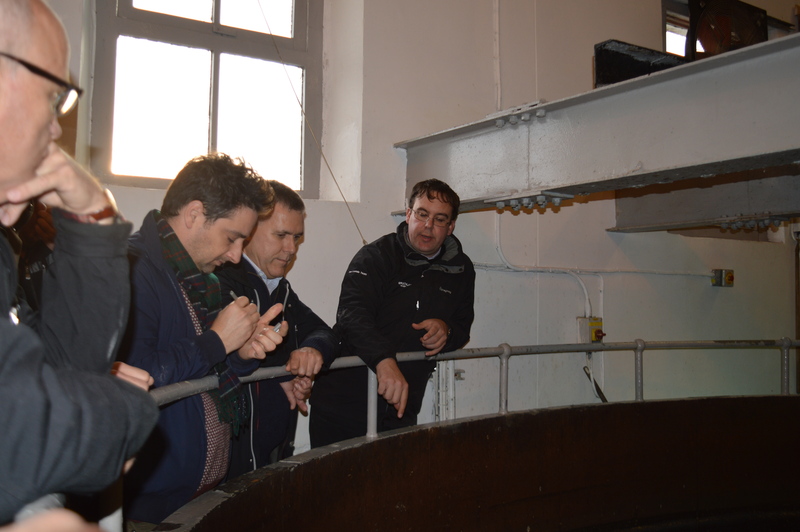 At Laphroaig Distillery moss, Dugie MacTaggart introduced everyone to peat cutting. And, heroically maintained a straight face when asked such searching questions as; ‘what do you call your tool, Willie?’ …… !!! 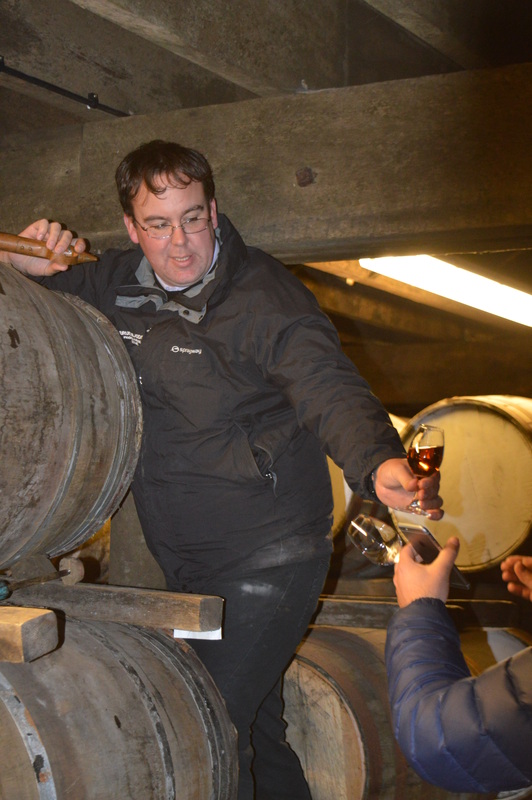 John Campbell took us to places in Laphroaig no one normally goes…. 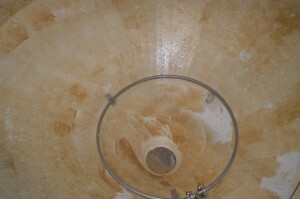 We learned about malting in fine detail. We learned specifics of the job. Thinking about what side of the malt floor faces the sea ~ so barley germinates slower than on the slightly warmer road side. 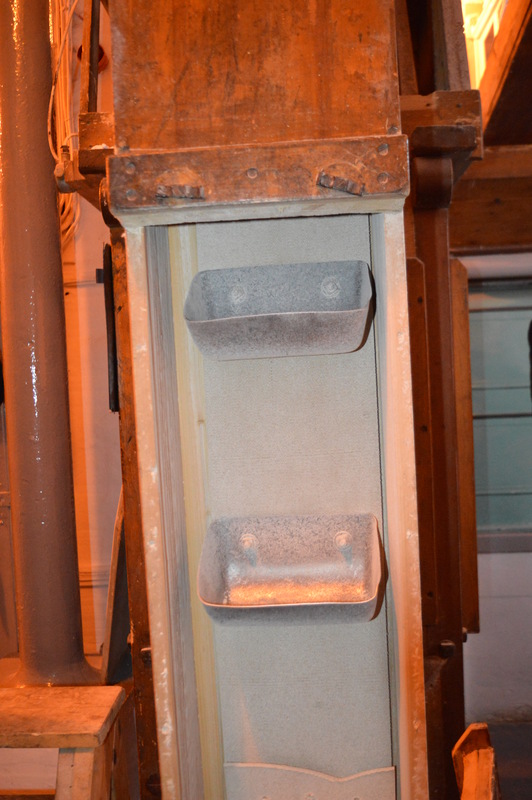 We thought about the malt around the base of the building pillars, we thought about the barley at the bottom of the steep tanks not being aerated as the aeration ring is set up by around 12″ from the opening. We learned……! 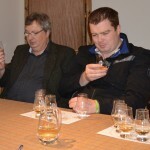 Tuesday found us at Bruichladdich Distillery being well looked after by Alan Logan. 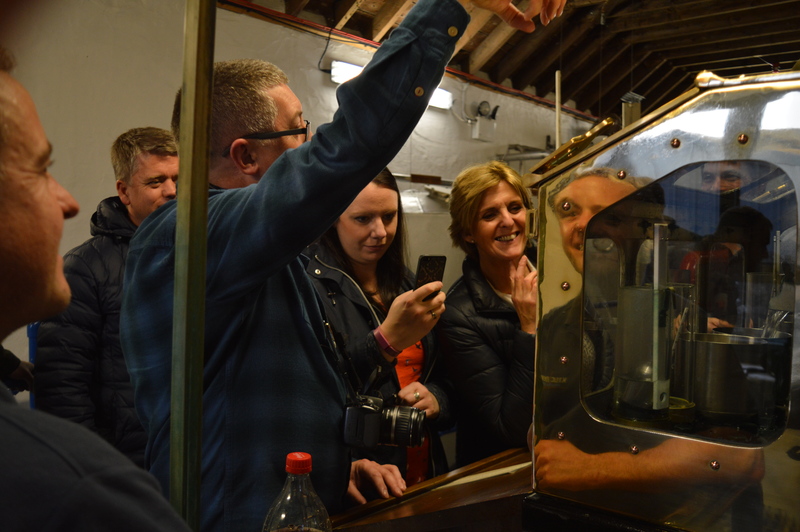 What he didn’t teach these WHISKY COURSE ISLAY delegates about milling and mashing is not worth knowing! 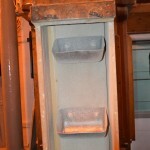 We saw the inner workings of the victorian, Heath Robinson style, yet, greatly efficient, mill. 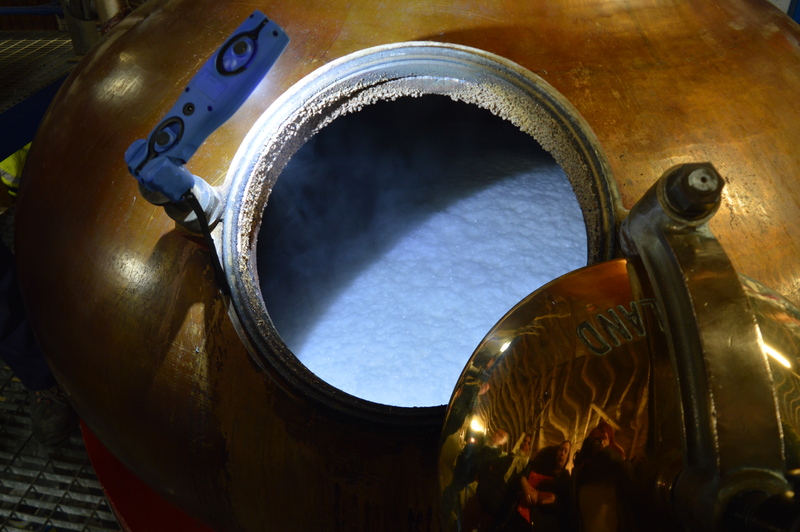 We learned about the open topped cast iron mash tun ~ 4 waters due to so much evaporation… and Alan risked life and limb in the warehouse to bring us some lovely whisky right out the casks…. 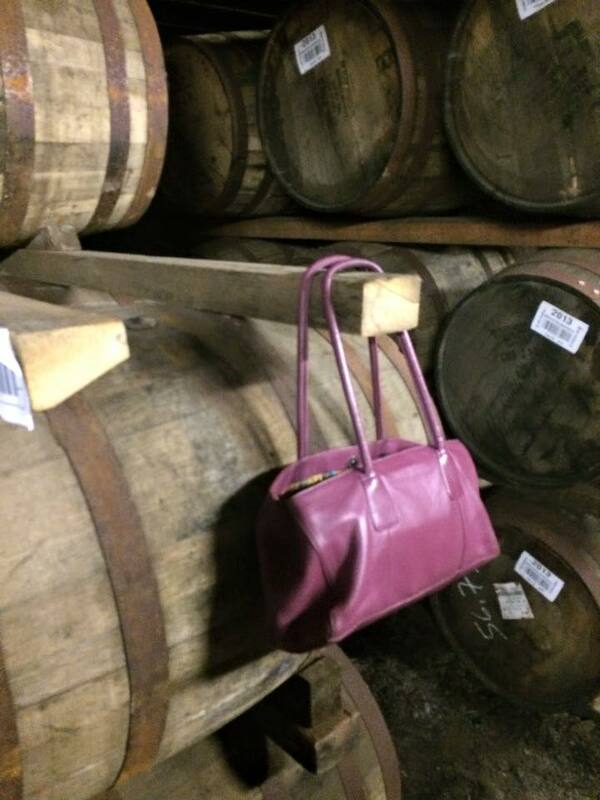 We only managed to lose two delegates at Bruichladdich ~ one is very likely still there, as evidenced by this ID picture being circulated by an old respected Independent Bottlers…..
Moving swiftly on to day 3. A wonderfully educational, yet totally relaxed day at Kilchoman Distillery. 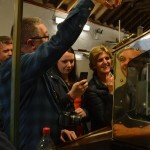 We spent SO long in the still house learning the machinations of small scale whisky production with Robin & Russell, that Kathy began to think we were staying the night…..
Eva hosted a great Kilchoman Tasting, then, we manoeuvered everyone onto buses heading off for ANOTHER whisky tasting…..
but that’s a story for Part II…..